For over 20 years Tanks Inc has been retrofitting non EFI gas tanks with internal fuel pumps using their PA Series EFI Gas Tank Conversion Module. This In-Tank Fuel Pump module can be used to retrofit an internal fuel pump into your original gas tank. The pumps listed are capable of running up to 100 PSI and they will deliver a varying amount of fuel (gallons per hour) depending on the pressure. We have recorded estimated max HP ratings at 60, 70, and 7 PSI as a guide to finding the correct pump for your particular installation (click the application guide). See below for Installation Instructions. Note: "TANKS" 35M, 37M, and U-T poly tanks do not require the "P" suffix. Note: Our kits do not include fuel pressure regulators. Note: All flow rates are rated at 13.5 volts. Note: Assembly requires a minimum tank depth of 6 inches. Note: Maximum tank depth of 10.5 inches with no modification. We use Walbro high-performance pumps in all of our fuel injection modules. Walbro (TI Automotive) is an OE validated pump manufacturer that supplies products for two-thirds of the vehicles produced around the world today. Based on our testing we believe that Walbro offers the highest quality pump on the market. These OE quality performance pumps are better at hot fuel handling and are designed with an internal bypass channel to offer better recovery from aeration compared to other pump manufacturers. We offer multiple operating ranges in order to supply up to approximately 1000 horsepower. 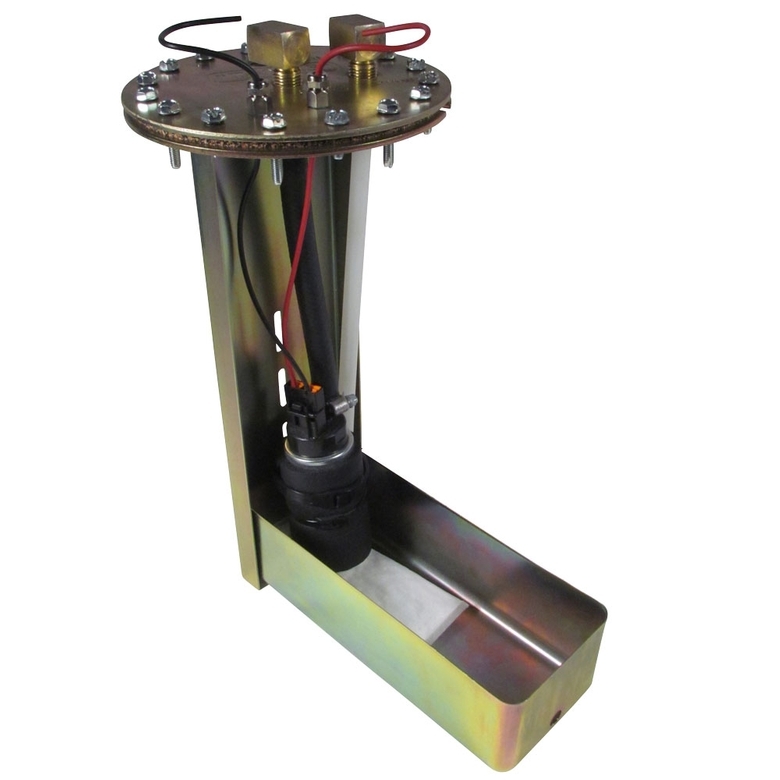 The PA series fuel pump assemblies come with a female 1/4" NPT fitting on the top plate. When converting your tank to fuel injection it is essential that your tank is properly vented. This rollover vent valve will thread right into the PA pump assembly.